The Associate Pastor is the primary support for the Lead Pastor in all areas with a major focus on administration. 1) Support the Lead Pastor in the overall vision casting and leadership of the church's ministries including preaching, teaching, service planning and management of staff, employees, and volunteers. 2) Oversee planning, preparation and implementation of all services. 4) Do the announcements, offering and greeting in Sunday A.M. services making a smooth transition from worship to the sermon. 5) Be the back-up speaker for the pastor with an "Emergency Sermon" ready at all times. Fill in for pastor when on vacation and preach at least 6-12 times per year. 6) Oversee and manage all social media including church website and Facebook page. 7) Assist department leaders and staff with volunteer recruitment, training and retention. 8) Attend and contribute at all staff meetings, planning sessions and vision casting gatherings. 9) Develop and lead outreach ministries to take the church into the community. 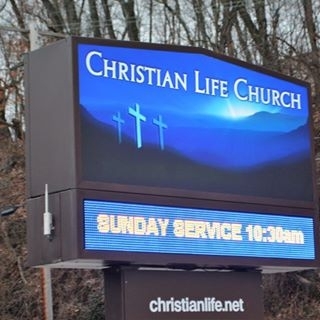 Christian Life Church is a multi-generational church with contemporary worship located in the east suburbs of Pittsburgh, PA. We have a vision to reach the lost from all ethnic social and economic backgrounds. Our mission is to help people to Know God, Grow in their faith and to Show that faith to the world. Education & Experience: This position requires a minimum of 3-5 years of experience as a staff member in a ministry capacity. You must be a Licensed Minister with the Assemblies of God willing to achieve ordination within 2 years. A degree in Biblical Studies and or Church Management is preferred. Must be a self-starter, not requiring a great deal of supervision, with a solid work ethic and willingness to do what it takes to get the job done. A working knowledge of Microsoft Office as well as the ability to research and use a multitude of information gathering resources is a must. A minimum of 4 solid references is required (No Family) and all state background checks must be completed.